bucks and trophy whitetails Ohio is known for. Located in Muskingum County in East Central Ohio, we are proud to turn our hunting passion into your quality whitetail deer hunt. Your 5-day, guided archery hunt includes linens and accommodations in our modern cabin. Meals are included, so all you have to do is hunt! We seriously care about your hunt and will do our utmost to meet your expectations and earn your respect. We know that when it comes to choosing a deer hunting guide or outfitter, Ohio has many choices to offer. 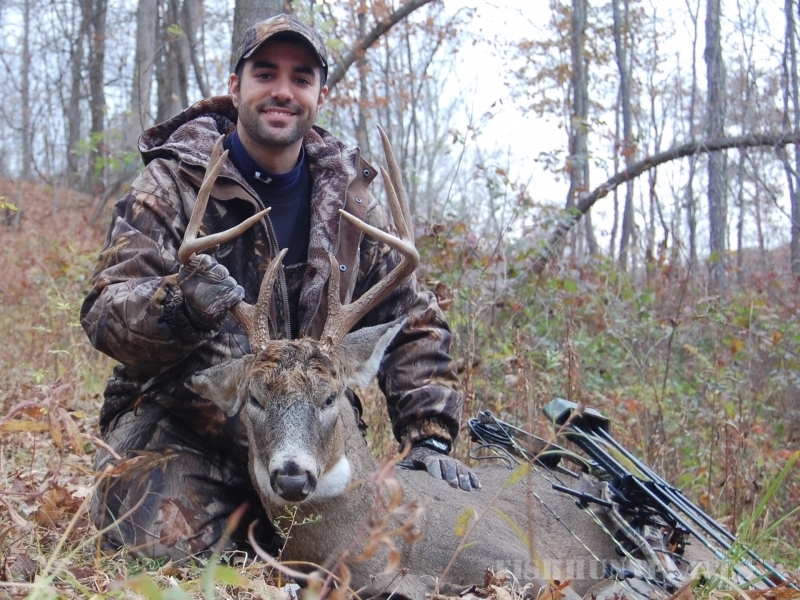 If you are looking for an honest outfitter whose goal is to make your Ohio whitetail deer hunt the most enjoyable it can be, not to mention putting you on a mature Ohio buck, then ROBERTS' OUTDOORS is the right choice. It would be our pleasure to hunt with you!